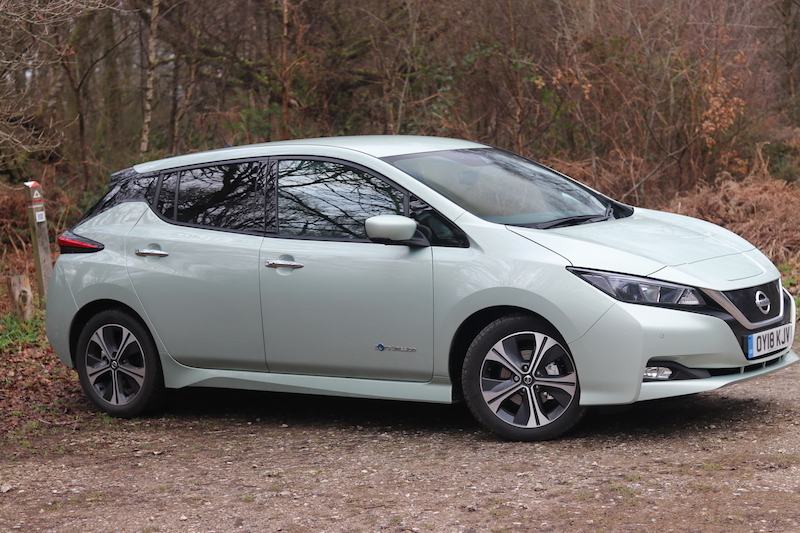 The previous Nissan Leaf was a tragic looking thing if you ask me. It looked a bit sad and pathetic, and it was clear it wasn’t your conventional car. That was the old model, thankfully the new car looks a lot better. It follows a similar design language to the new Nissan Micra, which can only be a good thing in my opinion. The new Nissan Leaf needs to be more than just a handsome face though, as it needs to maintain the huge success created by its predecessor – but can it? I spent a week with it to find out. What battery is it packing? Let’s kick things off with the power. 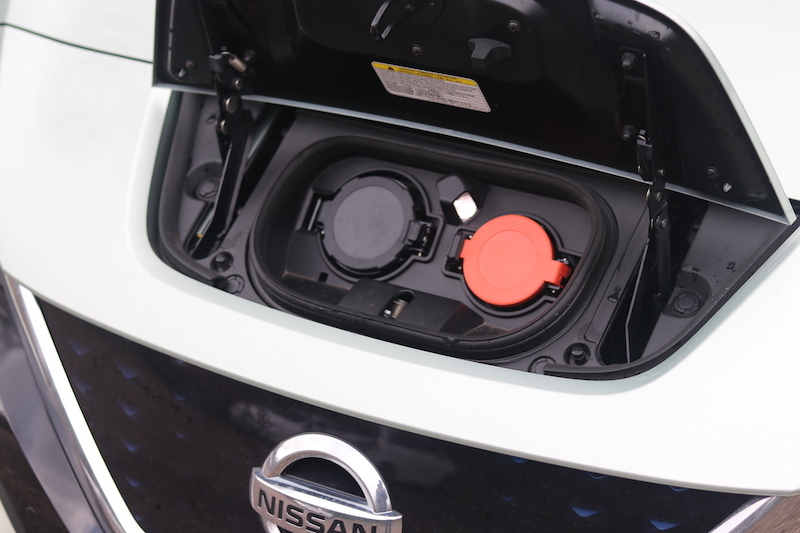 Unlike the previous Leaf, which had a choice of two different battery capacities, the new Leaf has just one. It’s a 40kWh laminated lithium ion battery that provides 150hp with 320Nm of torque, which is mated to the front wheels. 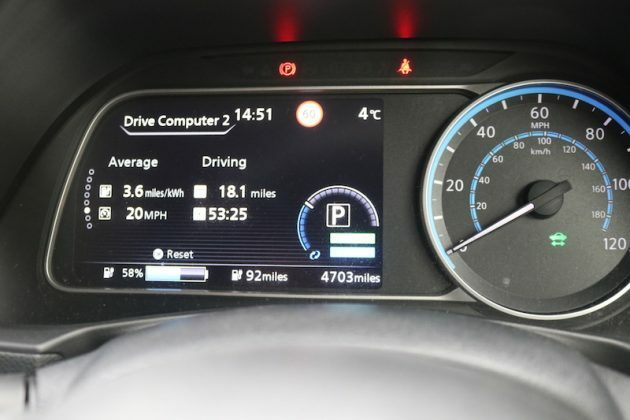 62mph is dealt with in a respectable 7.9 seconds – although it feels faster in real life – and the top speed is 89.5mph. That’s the electric motor, not the battery, in case you were wondering. 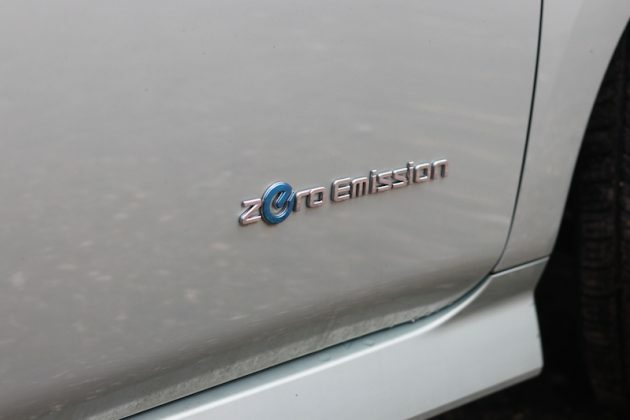 It is worth mentioning that for the time being buyers can opt for the limited edition 3.Zero e+ model, which has a 62kWh battery, meaning it offers more power and more range. Speaking of which, the battery in the standard model is good for 168 miles before the battery is empty, which is more than the previous car. Step inside and to begin with, everything seems perfectly normal. There’s nothing massively obvious to indicate this is a car with no ICE. That’s internal combustion engine I’m referring to as opposed to in car entertainment. Hit the start button and you’re greeted by, well, very little at all. In fact, when you start it up for the first time it’s hard to tell it’s even on at all. 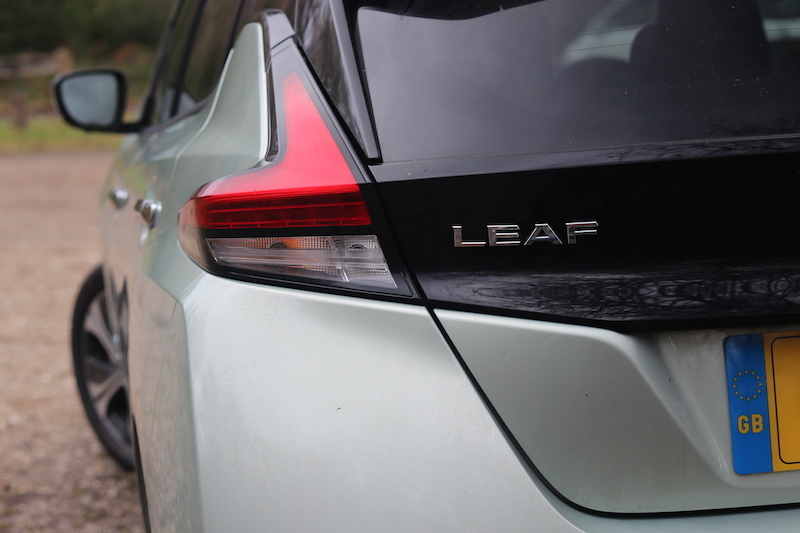 At first glance, the Leaf looks like your standard, conventional family hatchback. It's only really the lack of front grille and charging port flap that's the giveaway. Well, that and the 'Zero Emission' badges, of course. 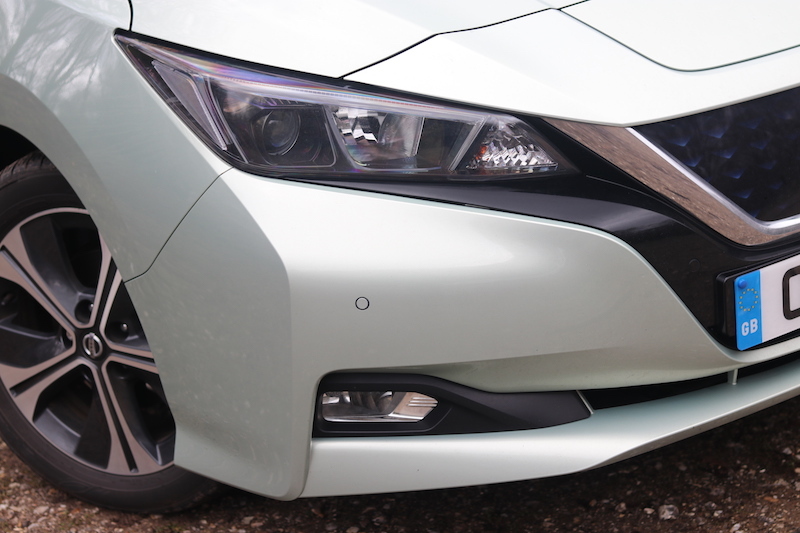 I'll admit I don't much care for the Spring Cloud Green paintwork, though. Getting it going is easy, as you simply pull the round gear selector back, depress the throttle and move off in near silence. Apart from the eerily quiet driving sensation, one of the first things to strike you is just how smooth and responsive the Leaf is to drive. One of the benefits of electric power is that it’s delivered very quickly, meaning it’s effortless to make progress. 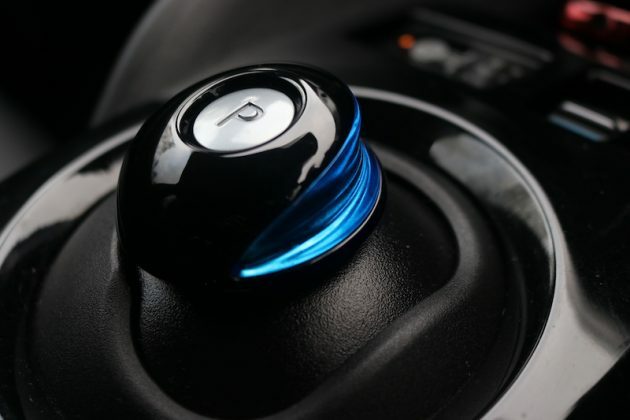 The power delivery may be rapid, but it’s never jolty or frantic. 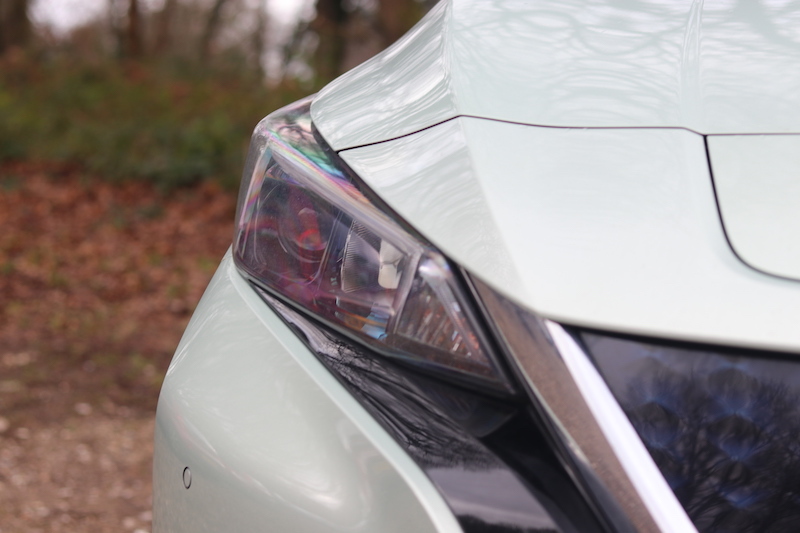 The Leaf may not be the lightest car going – it weighs over 1.5 tonnes – but it feels nippy and eager to get going. I like it. 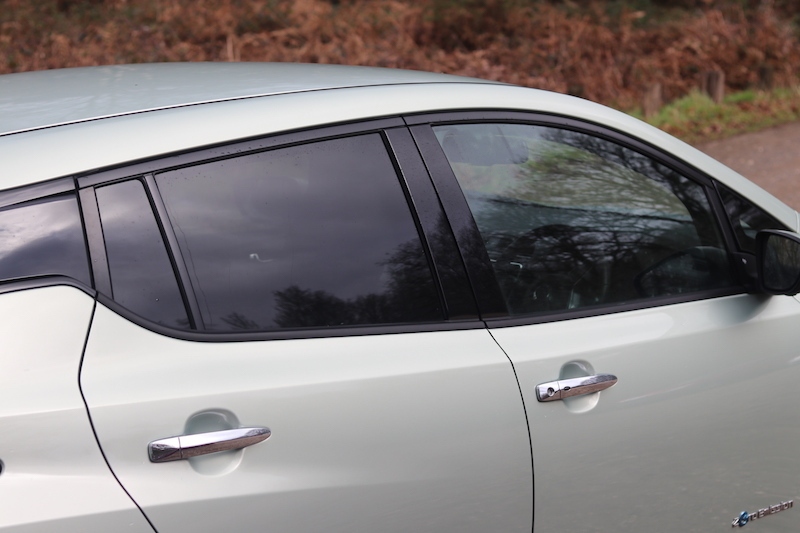 I also like the smoothness in which this car operates, it makes silk look coarse and rough to the touch. 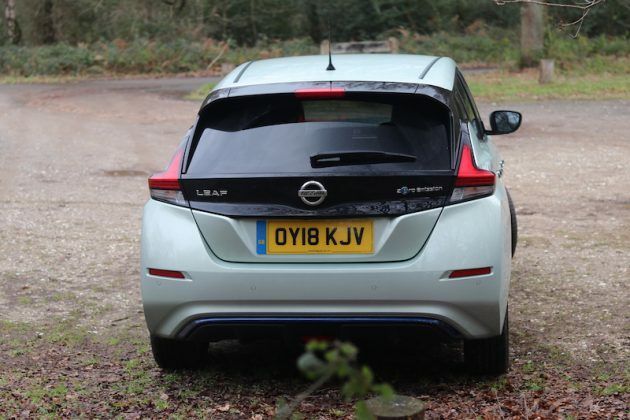 The Leaf is also an ludicrously easy car to drive, especially as it features an e-Pedal. Let me explain. 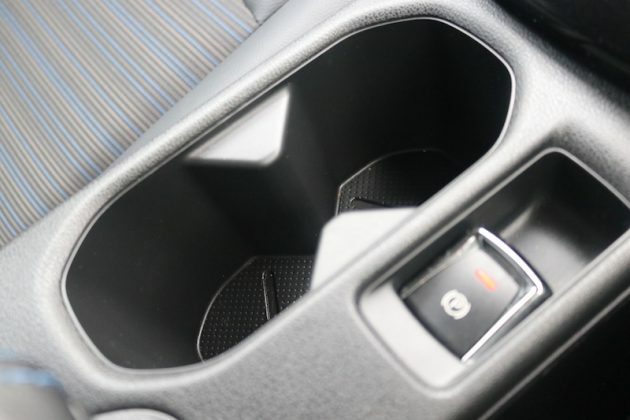 In the footwell, you have a brake and a throttle, as you would get in any automatic car, but that isn’t just any throttle. 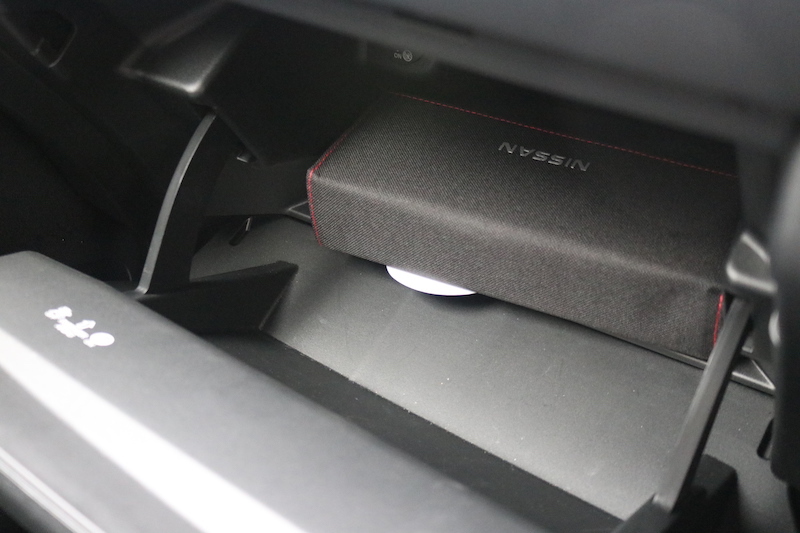 Nissan has developed a system which will progressively brake the car when you lift off the throttle, enabling you to drive the car with just one pedal – genius! Don’t care for the e-Pedal? It can be simply turned off. It does take a bit of time to get used to, but once you do get used to it, driving becomes even simpler. 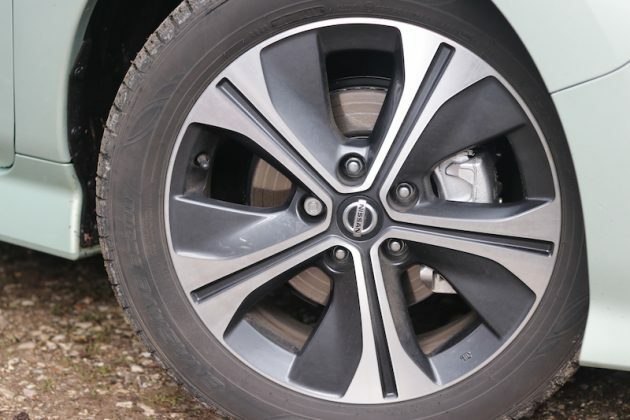 The braking is progressive, so don’t think that as soon as you lift off you’ll do an emergency stop, although you need to use a bit of judgment if you’re coming to a stop in traffic. 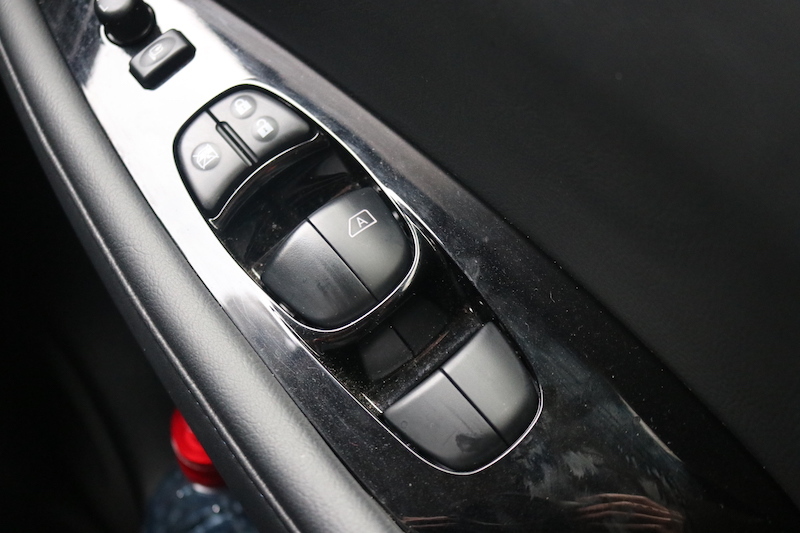 However, if you don’t want to use the system, it can be simply turned off with the flick of a switch. In a word, yes. 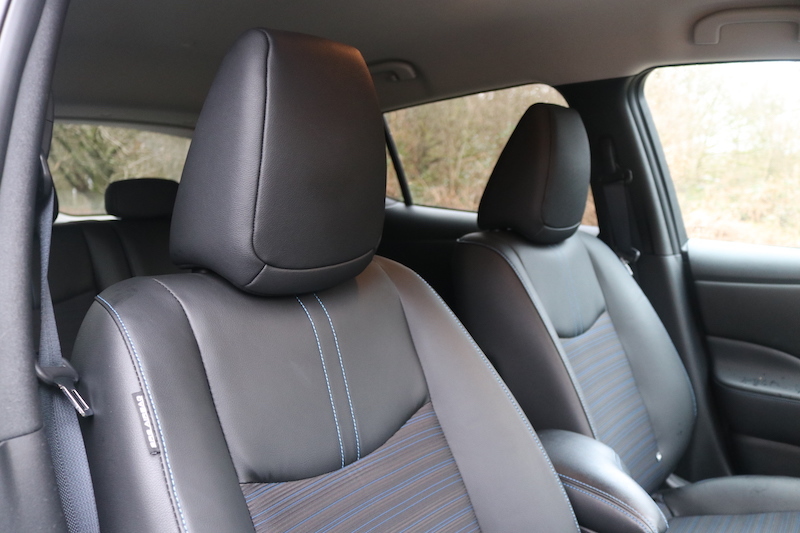 I tested the mid-range N-Connecta model, meaning I got seats trimmed with fabric and synthetic leather, which are very comfortable to sit in, plus the headrests are nice and spongy. 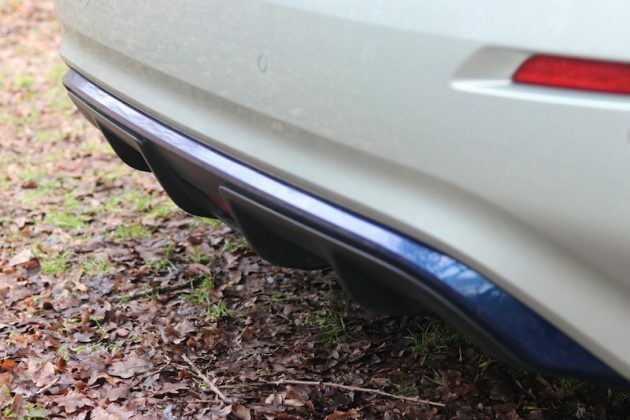 The ride does have a bit of a firm edge to it at lower speeds, but for the most part it soaks up the bumps well and it’s never been a tiring car to drive. The seats don't only look nice, but they are comfortable as well. 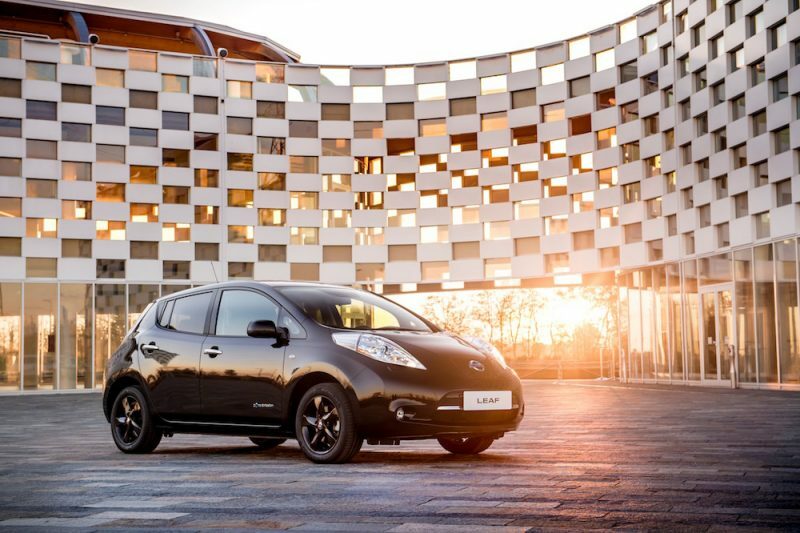 The flat bottom leather steering wheel helps to give the Leaf a sporty touch. 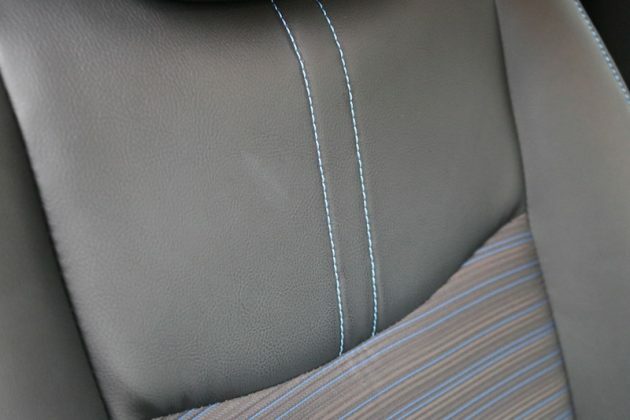 I really like the blue stitching as well. 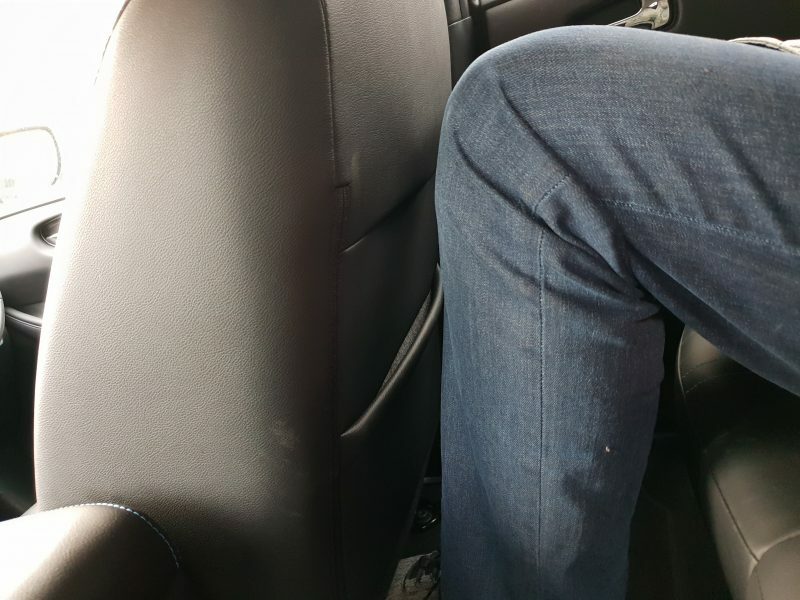 The rear seats are a bit cramped, though. 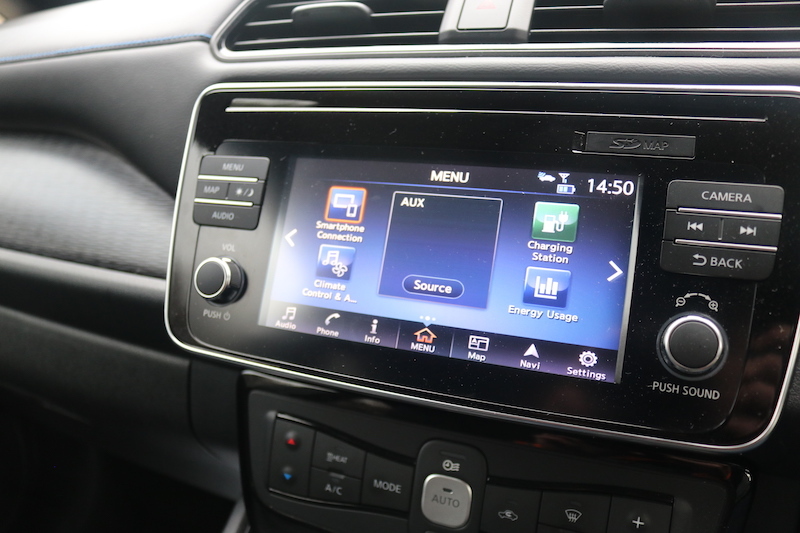 7" touchscreen comes as standard, with the NissanConnect system. 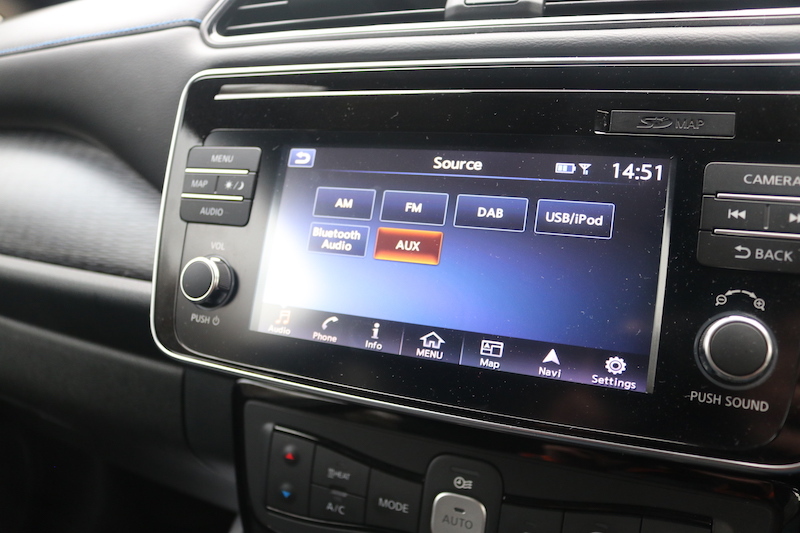 DAB radio and Bluetooth come as standard, naturally. Navigation also comes as standard, although you can use smartphone connectivity instead. 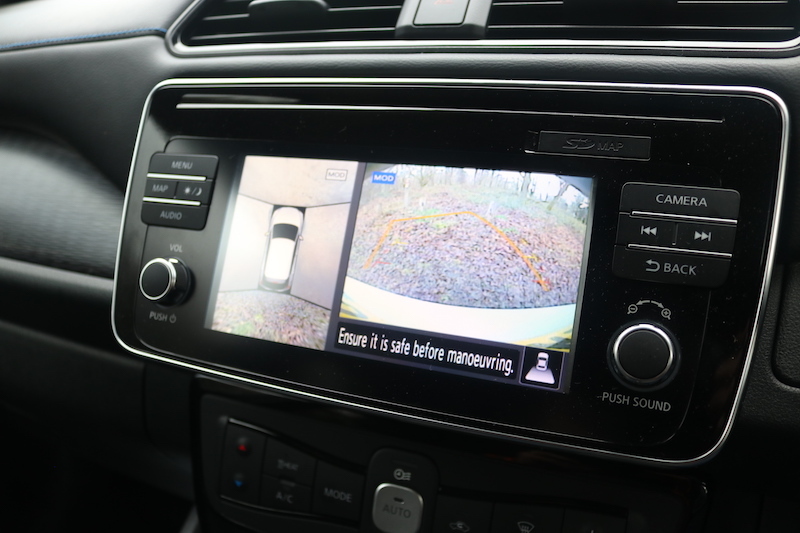 The N-Connecta also comes with Nissan's brilliant Intelligent Around View Monitor. There's also parking sensors as well. 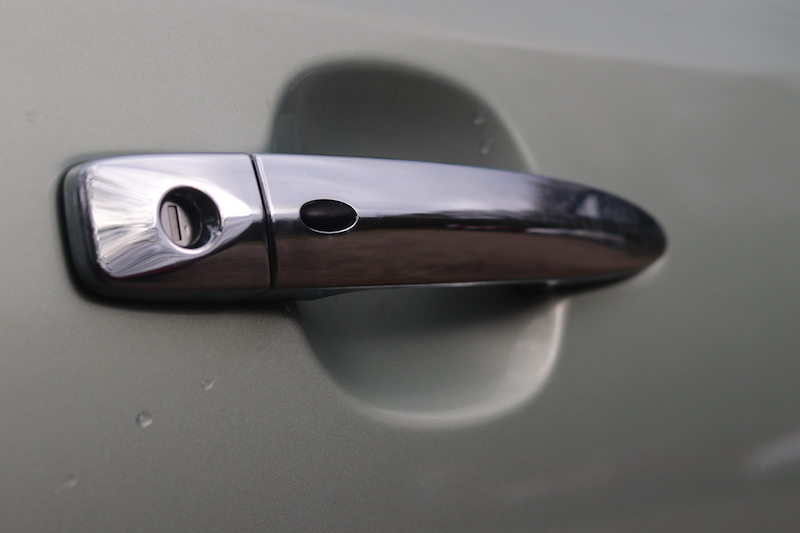 Keyless entry gives ease of use in regards to entering the car and also unlocking/locking it. 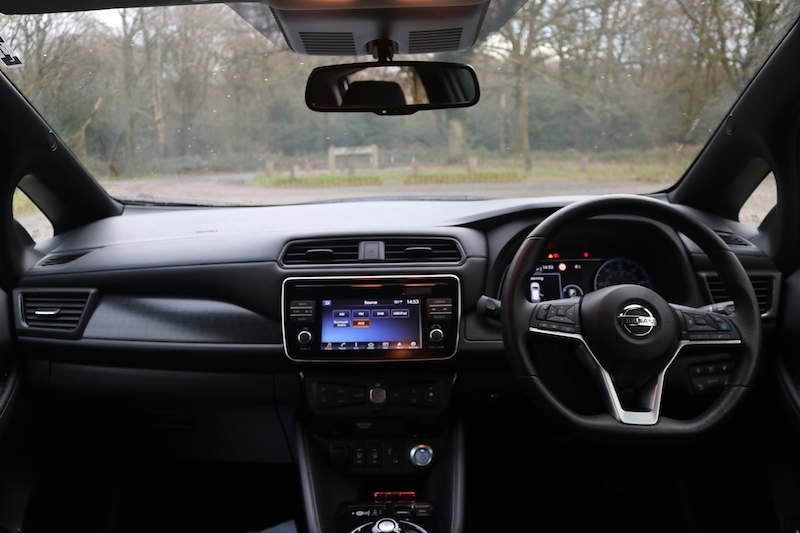 The driving sensation as a whole is a relaxed one, and the cabin is a pretty nice place to be. Granted you’ve got a few hard plastics and plenty of buttons, some of which look cheap, but it’s far from bargain basement. 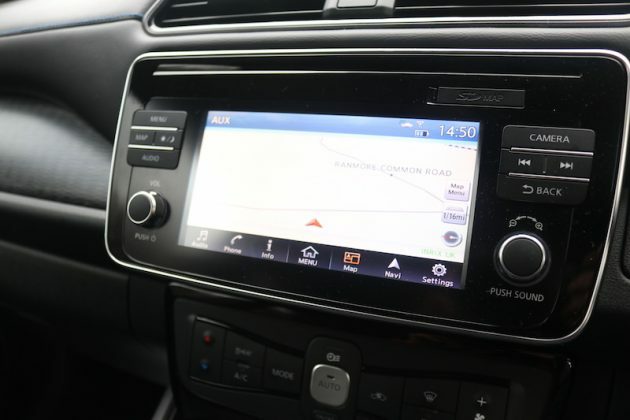 There’s plenty of kit as standard as well, including a 7″ touchscreen, smartphone connectivity, navigation, 7″ digital driver’s display, heated front seats, climate control, heated steering wheel and more safety kit than you can shake a stick at. It’s pretty comfortable then, but how does it tackle corners? 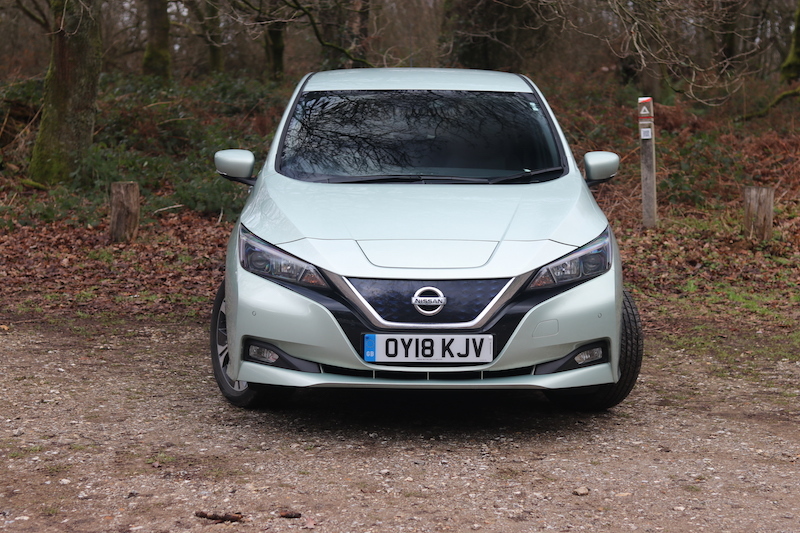 Cars like the Nissan Leaf are not designed to be a driver’s car of course, but I’d like to think that the driving dynamics will be good enough to please most drivers. There is a little bit of lean in the corners, but there is a decent amount of grip and the Leaf handles pretty well. The brakes take getting used to as the pedal has an odd feedback to it because of the regenerative braking system, plus the steering is pretty lifeless. 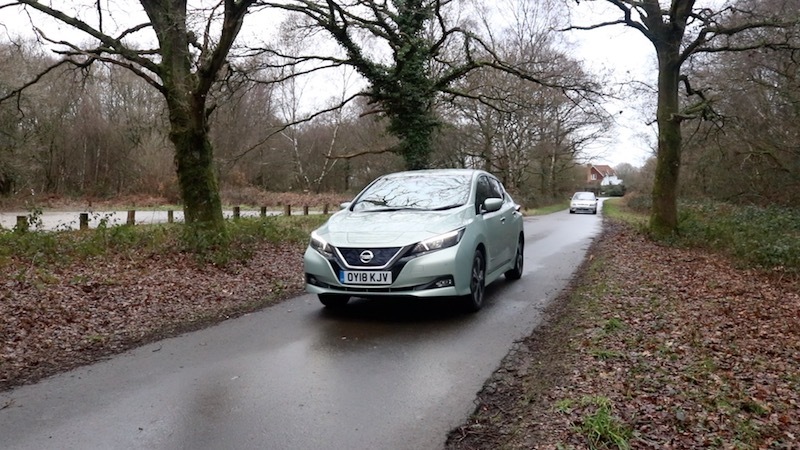 However, the Nissan Leaf can be pretty good fun on the right road and the way in which the power is delivered is quite addictive. Well, it is to me at least. I simply love the fact that the power is simply there on tap, whenever you want it. What about when you’ve had your fun and it comes to charging? 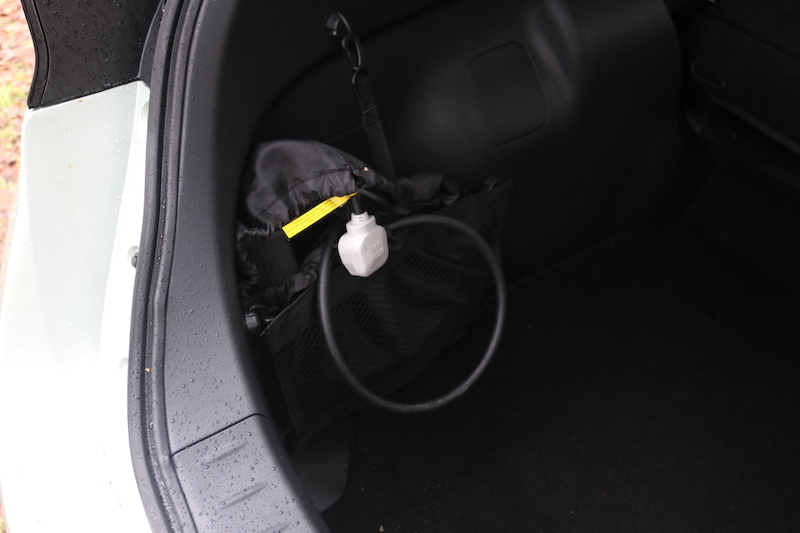 As standard, the Leaf comes supplied with two charging cables; a 6 metre 3-pin EVSE cable, and a 3 metre mode 3 Type 2 charging cable. In regards to charging time, if you use a rapid charge you can get the Leaf from 0-80% in 40 minutes, whereas if you plug it in to a traditional plug socket it will take over 21 hours to go from flat to full. 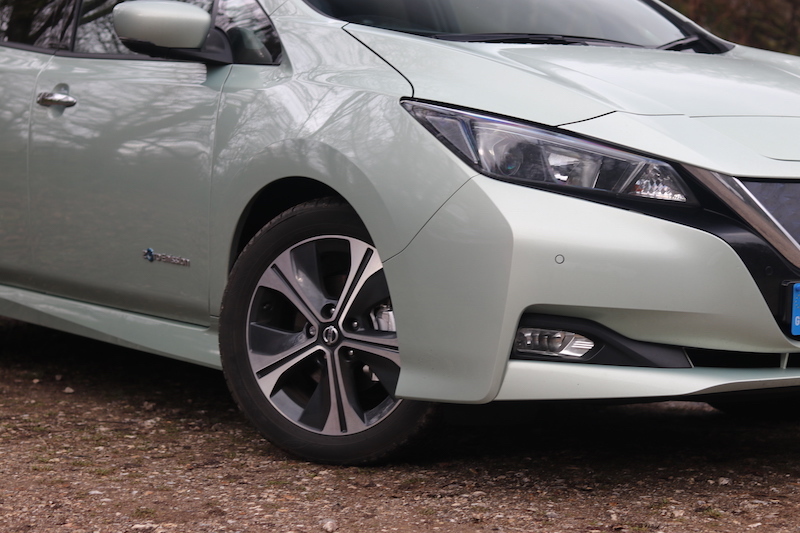 However, if you’re able to get a Pod Point system fitted at your home you can get the Leaf charged from 0-100% in around 7.5 hours. In regards to charging costs, they can vary of course. The local charging point I was using was 22p per kWh, meaning it would cost £8.80 to charge this car from flat to full. In regards to economy, the most I was able to get out of the car is 4.1 miles per kWh, which is equivalent to 138mpg. 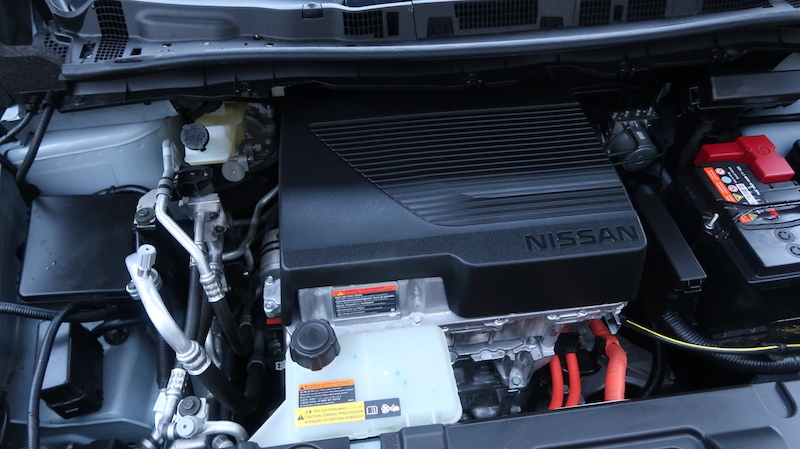 This means the Leaf will be cheaper to run than an ICE car, and it’ll be cheaper to maintain as it has less moving parts, therefore it should be more reliable and it will cost less to service as you don’t have replace consumables oil filters, spark plugs, etc. Whilst it may be cheaper to run, it’s more money to buy in the first place, especially as the UK government cut the funding for electric cars towards the end of 2018. 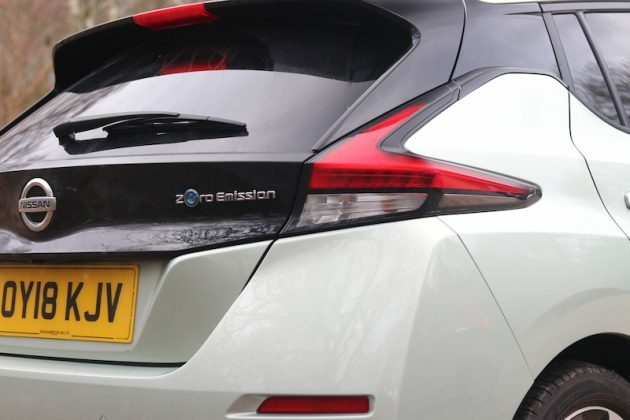 Instead of getting £4,500 from the government, buyers get £3,500, although it’s worst for hybrid car buyers, who now get no contribution from the government whatsoever. That’s a different story for a different time, though. 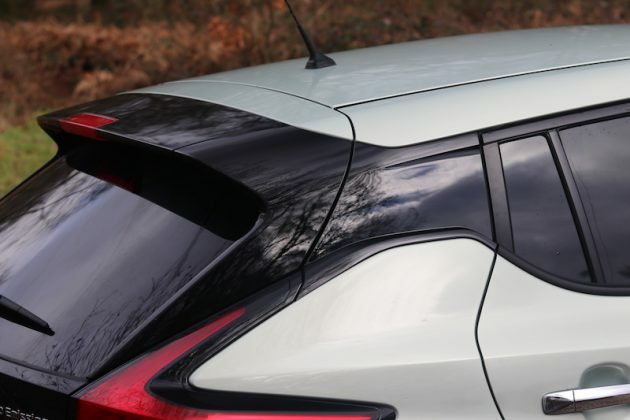 The Leaf is available in three trim levels, Acenta, N-Connecta and Tekna. Acenta starts from £26,690, offering features such as 16″ alloy wheels, 7″ touchscreen, smartphone connectivity, navigation, rear view camera, e-pedal, and a host of safety features including high beam assist, autonomous emergency braking, cross traffic alert and lane departure warning. N-Connecta starts from £28,390, offering features such as heated front seats, fabric and synthetic leather seats, heated steering wheel, around view monitor, and 17″ alloys. 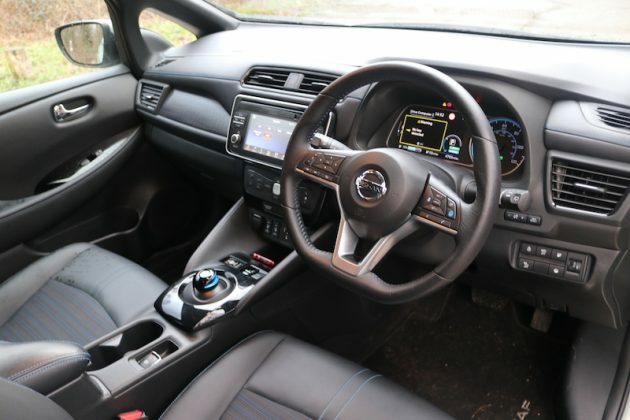 That leaves Tekna, which starts from £29,890 boasting features such as ProPilot (which I have fitted to this car as an optional extra), Bose 7-speaker sound system, Heated Front and Rear Part Leather Seats with Ultrasuede Inserts, and Full LED Intelligent Auto Headlights. 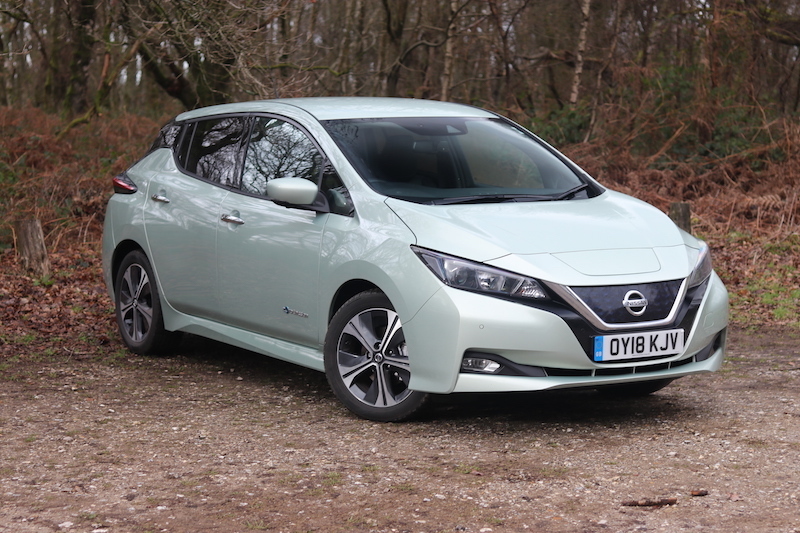 The Leaf is much like your standard family hatchback, so it should be pretty practical. 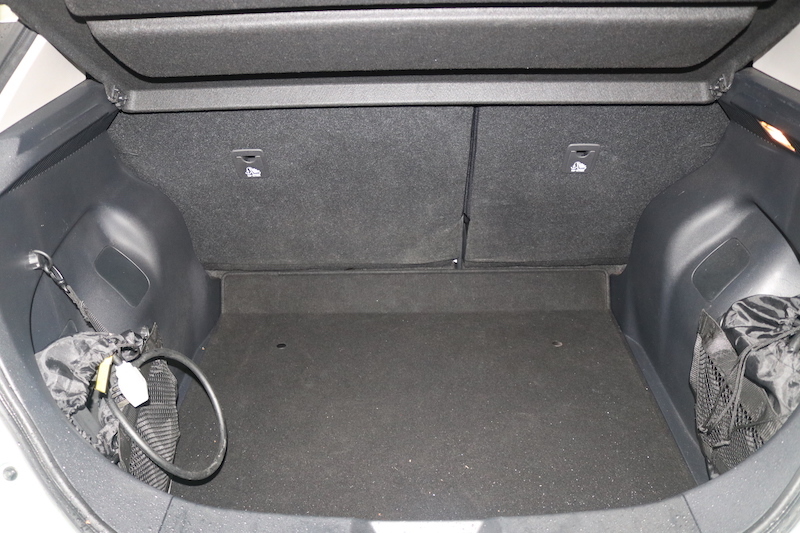 In the front there’s a decent amount of cubbyholes and the space in here isn’t too bad. I do have a gripe though, and that’s the fact that the steering wheel only adjusts for rake and not reach, which is quite irritating. I was able to find a comfortable driving position, but it wasn’t really the one I’d want. 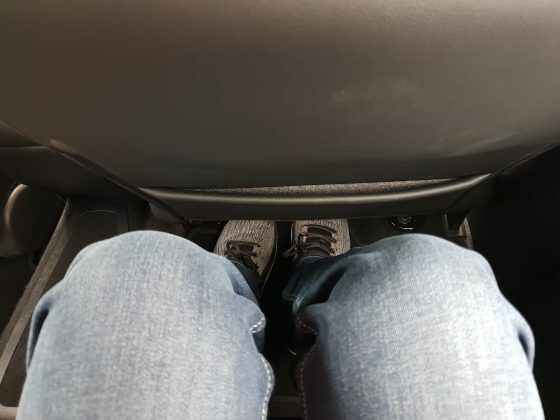 The back may not be the best place for taller occupants as headroom is tight, although legroom isn’t too bad. 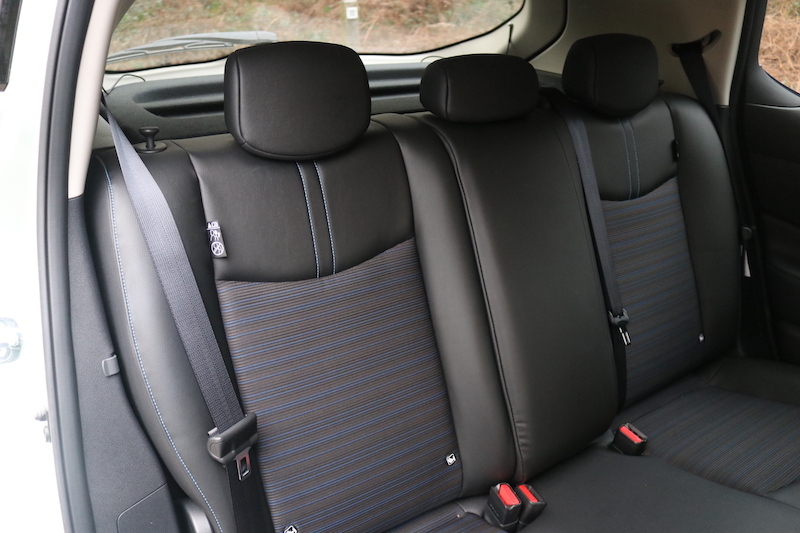 Thanks to a raised transmission tunnel, it’s unlikely that anyone will want to take the middle seat, so the rear is best served for two people rather than three. 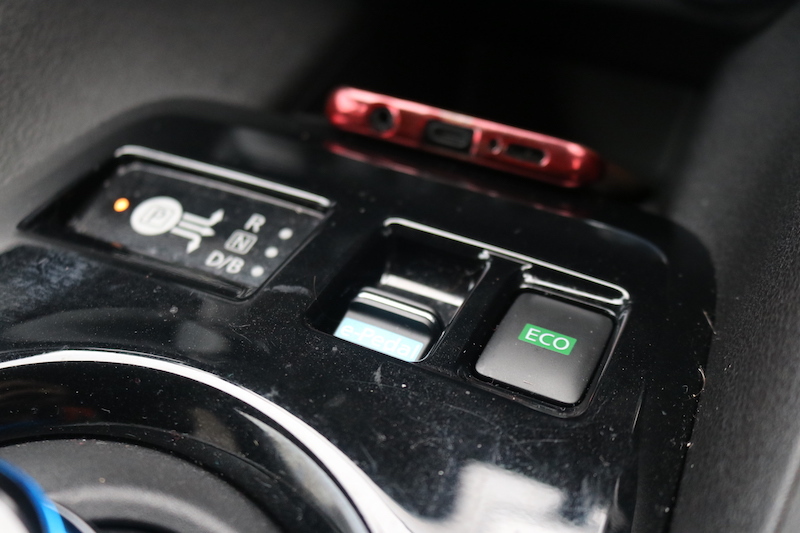 The Leaf's steering wheel adjusts for rake only, which is annoying, especially for a car that is almost £30,000. Fold down the rear seats and you'll have 1,176 litres to use. 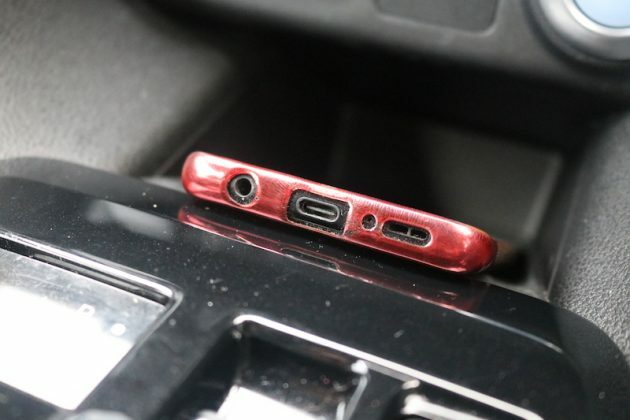 There's also netted pouches to keep your charging cables stowed away. 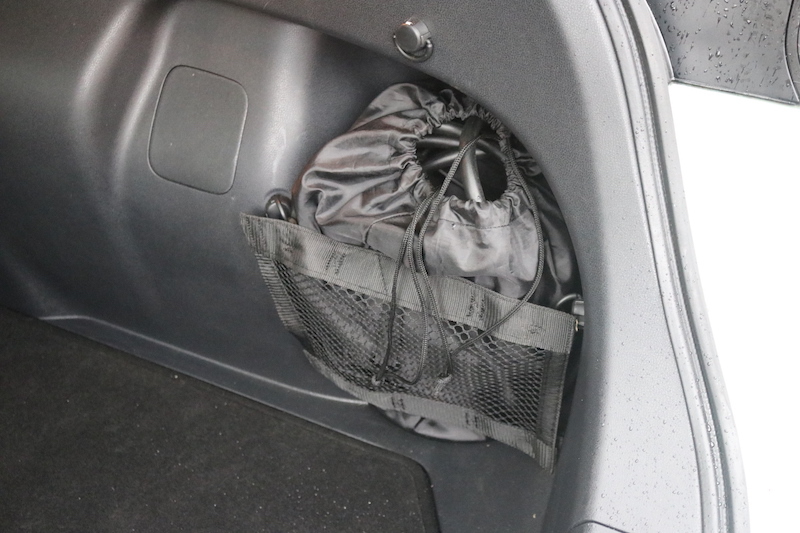 The boot is of a good size though, as it offers a very usable 435 litres. Granted, there is a high loading lip, but the entry is nice, wide and practical, which helps to make up for it. 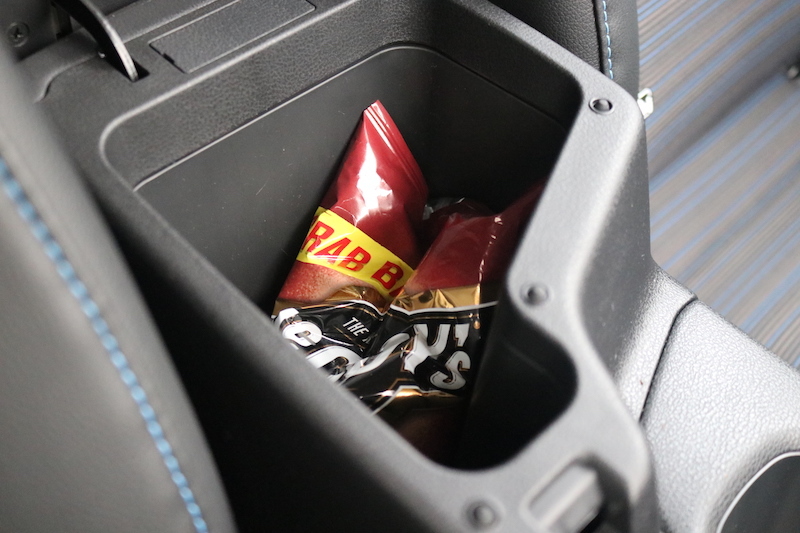 You also have a netted pouch either side where the charging cables can be kept, or any other items you may want to store in there. In case you’re wondering, the boot is larger than the likes of the Renault ZOE, the Volkswagen e-Golf and the Hyundai Kona Electric, which is good for those looking for an electric car with a decent sized boot. If you need more space, you can fold down the 60/40 seats to give you a total of 1,176 litres, which isn’t quite as much as some its rivals with their rear seats folded down. 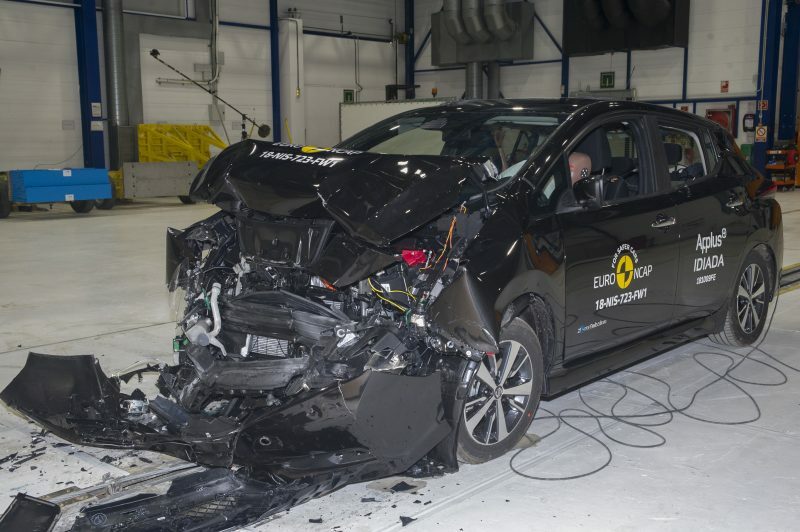 Even on the base model, the Nissan Leaf comes standard with a lot of safety equipment including 6 airbags, AEB, cross traffic alert, lane departure warning, high beam assist, and intelligent lane intervention, so it should come as little surprise that Euro NCAP awarded the Leaf with 5 stars. 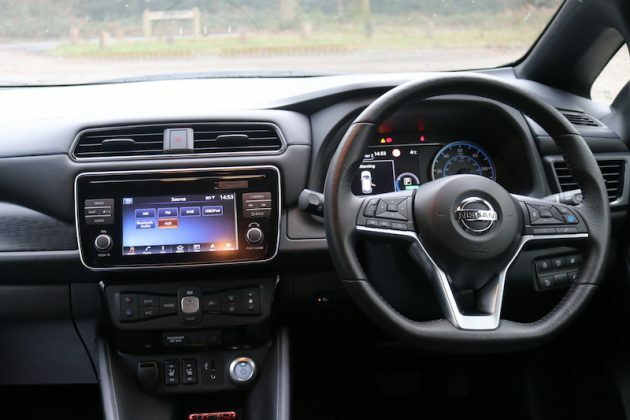 This test car was fitted with the optional ProPilot, so it even has semi-autonomous driving features, which comes in dead handy for motorway driving. Let me touch upon refinement. Because there is no engine noise, it means the cabin is a serene place to be, but it also means that wind and road noise can be greater exposed. 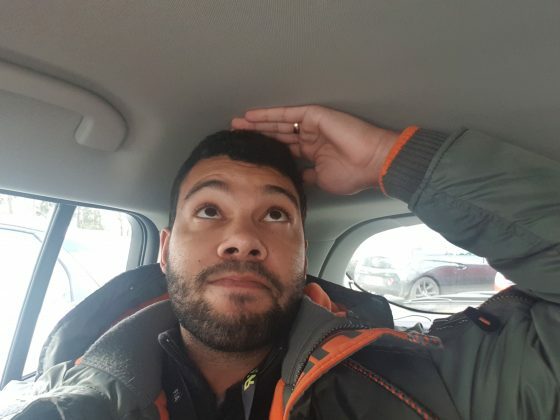 Both of these aspects are noticeable, but I wouldn’t say either do enough to ruin the driving sensation and I doubt you’ll need to raise your voice to have a conversation with occupants. Ah yes, the curse of the electric car – range anxiety. 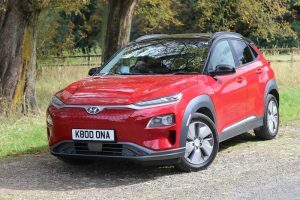 When I tested the Kona Electric, some EV owners were keen to point out that range anxiety is a thing of the past, but I’m afraid it isn’t. How do I know this? Well, I suffered the condition a few times whilst I had the Leaf. The first of which was a 114 mile trip from south London to Statford Upon Avon via Bracknell. After charging the car up to 90% I left with 143 miles of range, 22 miles more than I needed. After careful driving, ensuring I was minimising energy waste, I made it to Stratford Upon Avon with not much left to spare, and the last hour of journey was a bit tense. 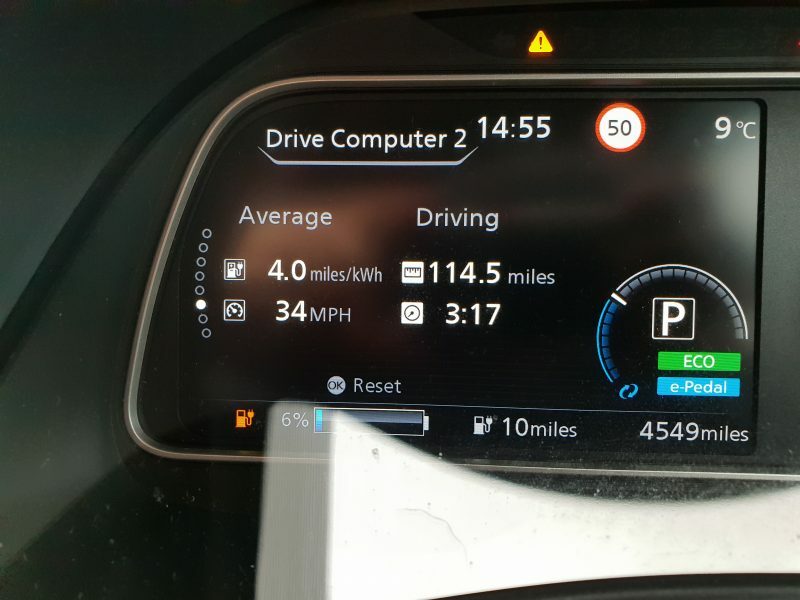 The other problem with doing longer trips is having to plan your trips ahead, to make sure there are suitable charging points either near your destination or on your route. But what if you charging point is out of service, or it’s being used, so you have to wait around? 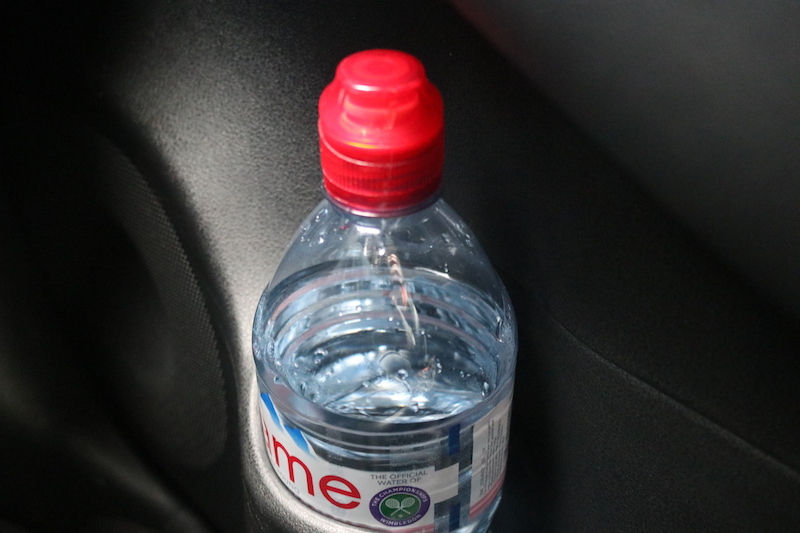 It simply isn’t as convenient as a splash and dash at a petrol station. 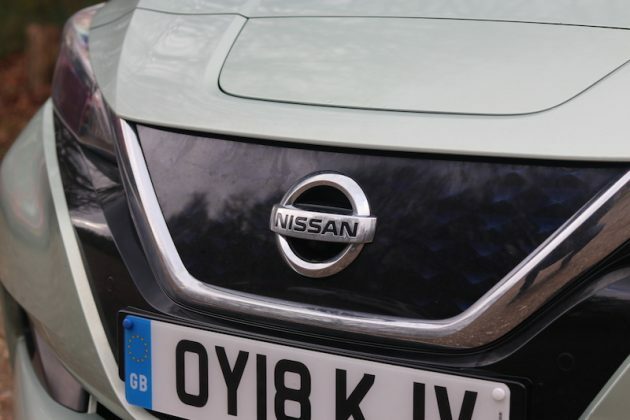 This Nissan Leaf has been a big seller for Nissan and the new model is already breaking more records, so it’s clear Nissan has hit the sweet spot. It’s better looking than before, it’s got better range and more performance, so if you’re after an electric car, the Leaf seems like a bit of a no brainer. I’ll be honest, there’s not a lot wrong with this car, although I would want better adjustment for the steering wheel, some of the buttons on the interior are cheap and the space in the back could be better. However, should these be enough to put you of buying the car? No, so if you’re after a decent EV, be sure to give the Nissan Leaf. The Golf is a car that is popular no matter what walk of life you live, it’s as classless as they come. 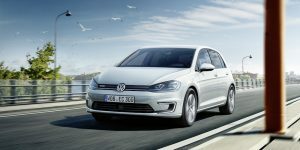 Therefore, an electric version should be popular choice for buyers looking for a Golf with zero emissions and lower running costs. 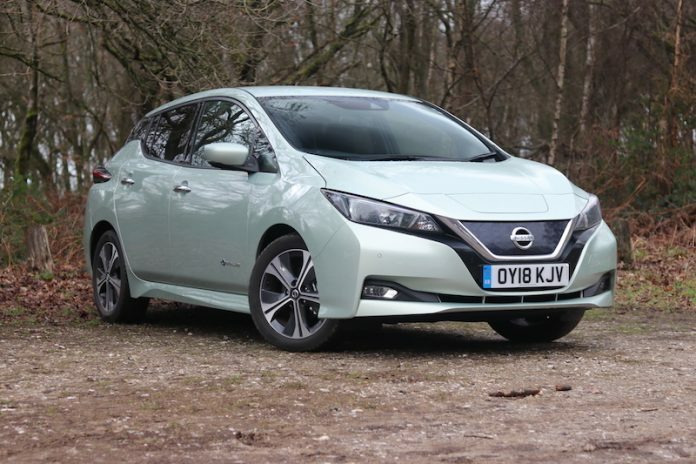 It offers less slightly less range than the Leaf, but the nicer interior may sway customers. 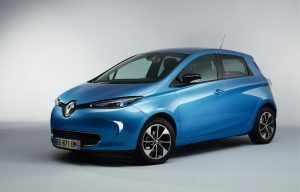 Like the Leaf, the Renault ZOE has been a very popular model in the electric car market; in fact I saw plenty of them on my recent trip to Portugal. 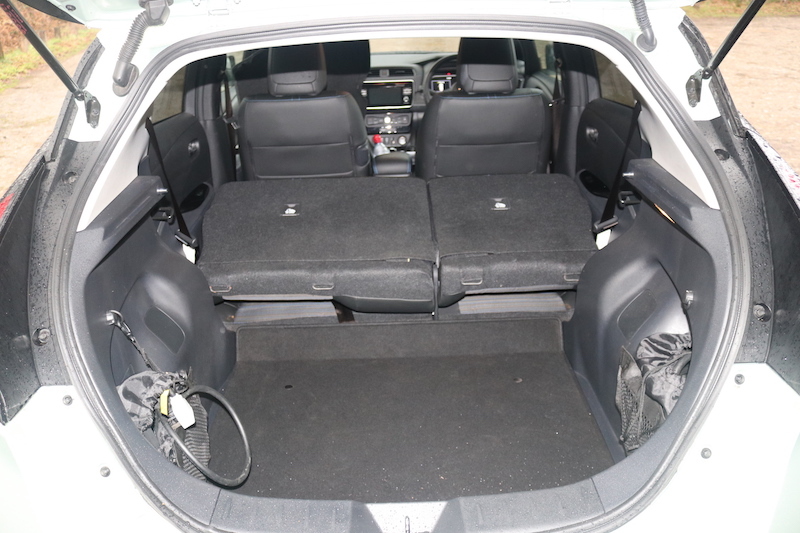 However, it’s a smaller car, therefore it has less space inside but it does offer a good range. The cute, feminine design may not be for everyone, though. Granted, the Ioniq is probably a better choice of rival, but the Kona Electric has caused a stir since its launch and for good reason. It’s a smart looking car that is fun to drive, and the range is over 100 miles more than the Leaf, plus you get a five year warranty. It’s little wonder that Hyundai is selling it quicker than the Korean brand can make ’em.